Hoy os voy a enseñar cómo se nos ocurrió utilizar las blondas como elemento decorativo para suspender del techo y para los cucuruchos. 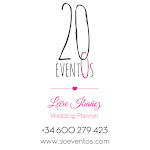 Queríamos hacer algo diferente en ese techo, ya que ya habíamos colgado pom poms hechos por nosotros (si queréis ver dónde clicka en el enlace) y además la idea de la blonda encajaba muy bien con el tipo de boda que querían P+O. However, I want to show you how we decided to use doily paper as a decorative element for the dance ceiling and for the cones. 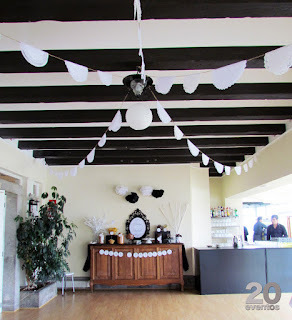 We wanted to do something different for the ceiling because we had already done poms (please click here if you want to have more information) and the idea of doilies matched very well with the type of wedding that P+O wanted. 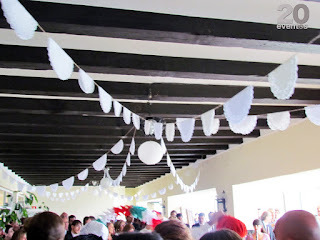 También los cucuruchos que colocamos a la entrada de la ceremonia estaban hechos con blondas y además llevaban washi tape con las frases "Mr. and Mrs" y "Love is all around". 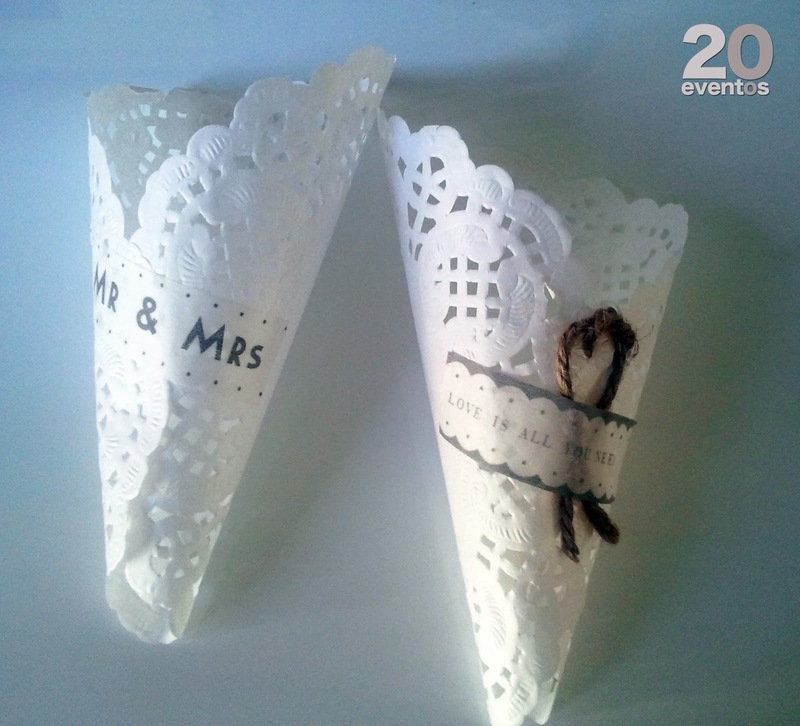 The cones were placed at the entrance of the ceremony, so each guest could take one. The cones were done with doily paper and with printed washi tape with those sentences "Mr & Mrs" and "Love is all around". Nos encanta el efecto romántico/rústico/chic de la blonda le confiere un aire de verbena "chic" ¿no os parece? 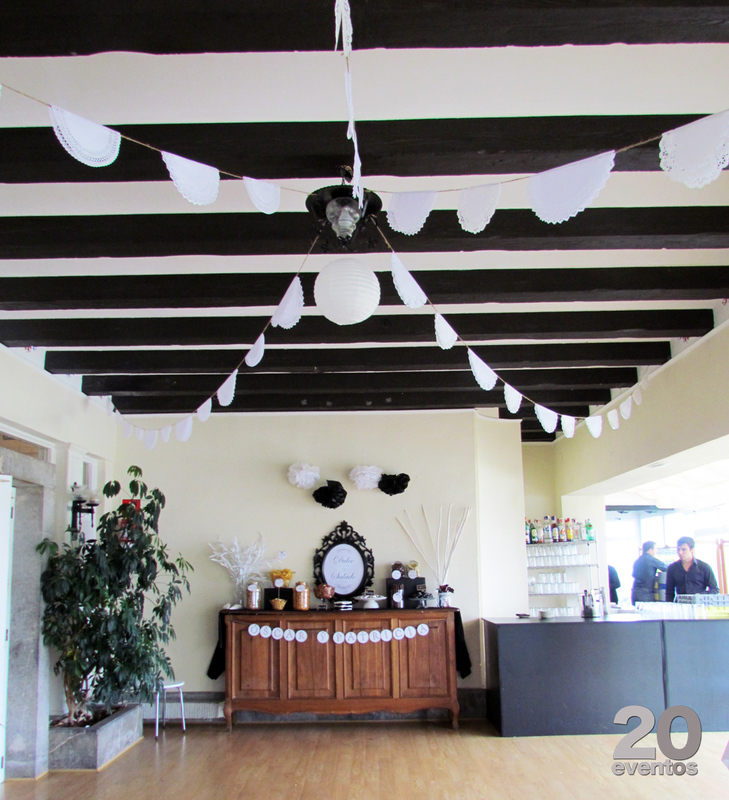 We love the romantic, rustic and chic result of this wedding. It seems like a rustic party. Do not you think so? I hope you like it.